By now, you should know that Bon Vivant and a Budget readers love thrifting (remember this post)! 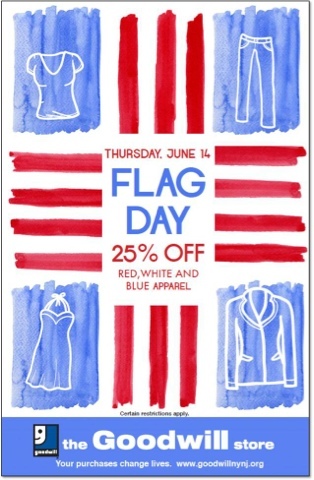 So I had to share this sale info- 25% off all RED, WHITE, and BLUE clothing purchases at Goodwill stores this Thursday June 14, 2012. Click here to find your local Goodwill store. Happy Shopping! Do you have any fun plans or festive outfits planned for Independence Day this year? Leave your comments below.